The Cuban authorities have quickly responded to the hearings conducted by Senator Rubio, "Attacks on U.S. Diplomats in Cuba: Response and Oversight," in his role as chair of the Senate Subcommittee on Western Hemisphere, Transnational Crime, Civilian Security, Democracy, Human Rights, and Global Women's Issues (Reporting on that here). It comes as no surprise that the Cuban authorities took the opportunity not merely to denounce the hearings, and Senator Rubio, but also to make their case that they were neither involved in any purported attack nor that the attacks in fact took place. Josefina Vidal, the director General of the Cuban Foreign Ministry's U.S. desk denounced the hearings as irresponsible. The Cuban social media machinery also emphasized that Cuban experts continue to be skeptical. They also emphasized the conclusions of an unpublished FBI report that has to date failed to find a proof of attack. On that point they encourage readers to take the position of Senator Flake against that of Senator Rubio. 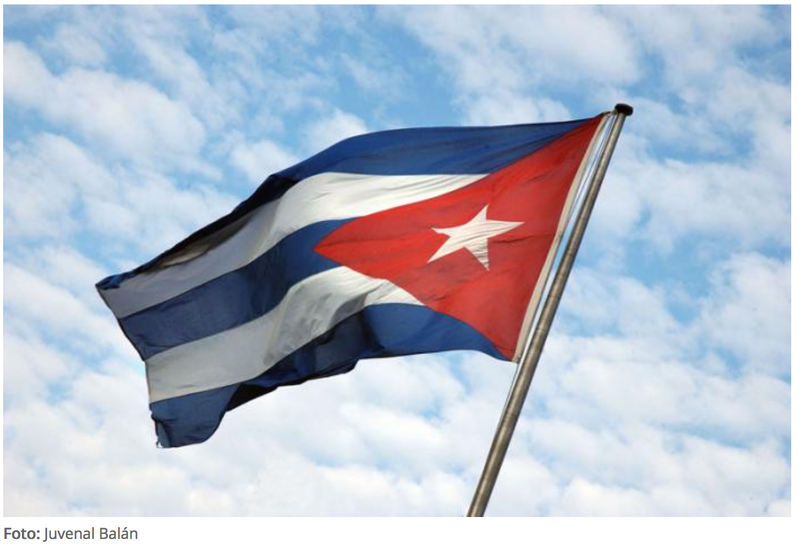 The emphasis, and the media position of the Cuban government, published in Spanish and English is that "Cuba is a safe, peaceful and healthy country." Indeed the Cuban response was careful to deploy as well their parade of experts to counter the testimony adduced during the Rubio hearings. In the process Cuba seeks to lay out its public case against the American accuasations (Cinco incongruencias de los supuestos ataques sónicos), including the listing of 10 conclusions of Cuban experts. (Pix credit:Marco Rubio se queda sordo con Cuba). This Post includes the responses in English and Spanish as reported in official and media sources cited above (in English and Spanish). We have reached a point in the public battle over control of the narrative of the Affair of the Sonic Weapons Attack where both sides have now put forward allthe evidence they are willing to share, and both sides have more finely tuned their line. It is now time for more action. And from the indications by Senator Rubio's committee that action will come from the investigative committee of the U.S. Department of State. The story continues. HAVANA TIMES – The Cuban government questioned today the validity of the hearing held in the United States Senate on Tuesday over the alleged acoustic attacks on US diplomats in Havana, and restated its denial of having any responsibility in the events, reported dpa news. “The true purpose of this hearing was not to establish the truth, but to impose by force and without any evidence an accusation that they have not been able to demonstrate,” said Josefina Vidal, director of the United States desk of the Cuban Foreign Ministry. The Senate Foreign Relations Committee held a hearing on the alleged attacks, whose origin is unknown and according to Washington happened between the end of 2016 and August 2017. Todd Brown, Deputy Director of Diplomatic Security at the State Department, said that in addition to the possibility of an acoustic or sonic attack, US researchers are considering the possibility of someone infecting the victims with a virus. 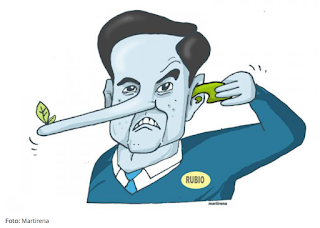 The official did not offer more details or evidence in his testimony at the hearing that was chaired by Republican Senator Marco Rubio, one of the politicians most critical of the softened Cuba policy promoted by former President Barack Obama. “The State Department has no evidence that allows it to affirm there were attacks against its diplomats in Havana, nor that Cuba may be responsible or have knowledge of third-party actions,” Vidal said at a press conference. The Cuban official pointed out that “on the contrary, months of exhaustive investigation have shown that there was no attack”. A few days ago, an FBI report was leaked to US media, according to which no evidence of an acoustic attack has been found. The United States claims that since November 2016, 24 diplomats stationed in Cuba and relatives suffered attacks of unknown origin that caused symptoms such as dizziness, headaches, hearing loss, among others. Cuban experts who investigated the US accusations ruled out the acoustic attack because it would have caused an extremely loud noise in the neighborhood where the diplomatic residences are located, something that did not happen. Desde su propio título “Ataques a diplomáticos estadounidenses en Cuba”, se evidenció que el verdadero propósito de esta audiencia, a la que fueron convocados tres funcionarios de alto rango del Departamento de Estado, no era establecer la verdad, sino imponer por la fuerza y sin evidencia alguna una acusación que no han podido demostrar. A nadie le sorprenden las acusaciones infundadas ni las fabricaciones de los senadores anticubanos, cuya única agenda política a lo largo de los años ha sido llevar a nuestros dos países hacia una confrontación, sin importarles las consecuencias. Su total falta de escrúpulos y credibilidad es reconocida. La gran víctima de la audiencia del día de hoy ha sido la verdad. Para el gobierno cubano resultan inaceptables las irresponsables declaraciones realizadas en la audiencia por el secretario adjunto para los Asuntos del Hemisferio Occidental del Departamento de Estado, Francisco Palmieri. El Director de Asuntos de Servicios Médicos del Departamento de Estado, Dr. Charles Rosenfarb, dijo que hay una multitud de síntomas que no son atribuibles a una causa específica y que hay falta de certeza sobre el agente causal. El Director Adjunto de Programas Internacionales del Buró de Seguridad Diplomática, Todd Brown, expresó que los expertos no han podido identificar la causa ni el perpetrador. Y el Sr. Palmieri utilizó repetidas veces el término ataques. Quedó claro que se trata de una acusación infundada contra Cuba. El Departamento de Estado no tiene evidencia alguna que le permita afirmar que ha habido ataques contra sus diplomáticos en La Habana, ni que Cuba pueda ser responsable o tener conocimiento de acciones de terceros. Por el contrario, meses de investigaciones exhaustivas han demostrado que no ha existido ataque alguno. Reitero categóricamente que el gobierno cubano no tiene responsabilidad alguna en las afectaciones de salud reportadas por diplomáticos estadounidenses. Cuba nunca ha perpetrado ni perpetrará, ni ha permitido ni permitirá que terceros actúen contra la integridad física de ningún diplomático sin excepción. El gobierno cubano tiene conciencia de sus responsabilidades y las cumple de manera ejemplar. Una vez más afirmo que la investigación realizada por las autoridades cubanas, a cuyos resultados el Departamento de Estado y las agencias especializadas de los Estados Unidos han tenido amplio y sistemático acceso, ha arrojado que no existe evidencia alguna sobre la ocurrencia de los alegados incidentes y no se ha producido ataque de tipo alguno. 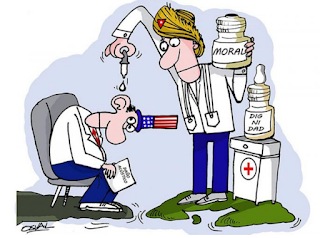 Nada de lo aportado por el Gobierno de los Estados Unidos a lo largo de este período e incluso hoy apunta con evidencias que los problemas de salud reportados por los diplomáticos hayan tenido su origen o su causa en Cuba. Rechazamos la politización de este asunto y las medidas injustificadas que ha adoptado el Gobierno de los Estados Unidos, con un alto costo para nuestra población, la emigración cubana y el pueblo estadounidense. Denunciamos también la manipulación política de estos hechos por los elementos anticubanos, que buscan agravar el clima bilateral, con el único propósito de volver a una etapa de confrontación, con consecuencias negativas para ambos países y la región. Cuba es un país seguro, pacífico y saludable para los cubanos, para los extranjeros, para los diplomáticos acreditados y para los millones de personas que nos visitan cada año, incluyendo los estadounidenses. This morning, January 9, a hearing was held in the Senate Foreign Relations Subcommittee on Western Hemisphere, organized by Republican Senator for Florida Marco Rubio and co-chaired by New Jersey Democrat Senator Robert Menendez, both with a vast record of work against better relations between Cuba and the United States, and the promoters of all kinds of legislative and political proposals that affect the interests of the Cuban and American peoples, and only benefit an increasingly isolated minority that has historically profited from attacks on Cuba. From its very title “Attacks on U.S. Diplomats in Cuba,” it was evident that the true purpose of this hearing, to which three high-ranking officials of the State Department were summoned, was not to establish the truth, but to impose by force and without any evidence an accusation that they have not been able to prove. No one is surprised by the unfounded accusations or the fabrications of these anti-Cuban senators, whose only political agenda over the years has been to bring our countries to confrontation, regardless of the consequences. Their total lack of scruples and credibility is renowned. The great victim of today’s hearing has been the truth. For the Cuban government, the irresponsible statements made at the hearing by the Assistant Secretary in the Bureau of Western Hemisphere Affairs of the Department of State, Francisco Palmieri, are unacceptable. The Director of the Bureau of Medical Services at the State Department, Dr. Charles Rosenfarb, said there are a multitude of symptoms that are not attributable to a specific cause and that there is a lack of certainty about the causal agent. The Assistant Director for International Programs of the Bureau of Diplomatic Security, Todd Brown, said experts have not been able to identify the cause or perpetrator. And Mr. Palmieri repeatedly used the term attacks. It became clear that this is an unfounded accusation against Cuba. The State Department does not have any evidence that allows it to affirm that there have been attacks against its diplomats in Havana, or that Cuba may be responsible, or have knowledge of the actions of third parties. On the contrary, months of exhaustive investigations have demonstrated that there have been no attacks. I categorically reiterate that the Cuban government has no responsibility whatsoever for the health conditions reported by U.S. diplomats. Cuba never has, and never will, perpetrate such acts, nor has it or will it permit third parties to act against the physical integrity of any diplomat, without exception. The Cuban government is aware of its responsibilities and fulfils them exemplarily. Once again I affirm that the investigation carried out by Cuban authorities, the results of which the State Department and specialized agencies of the United States have had ample and systematic access to, has shown that there is no evidence at all regarding the occurrence of the alleged incidents and no attack of any kind has occurred. 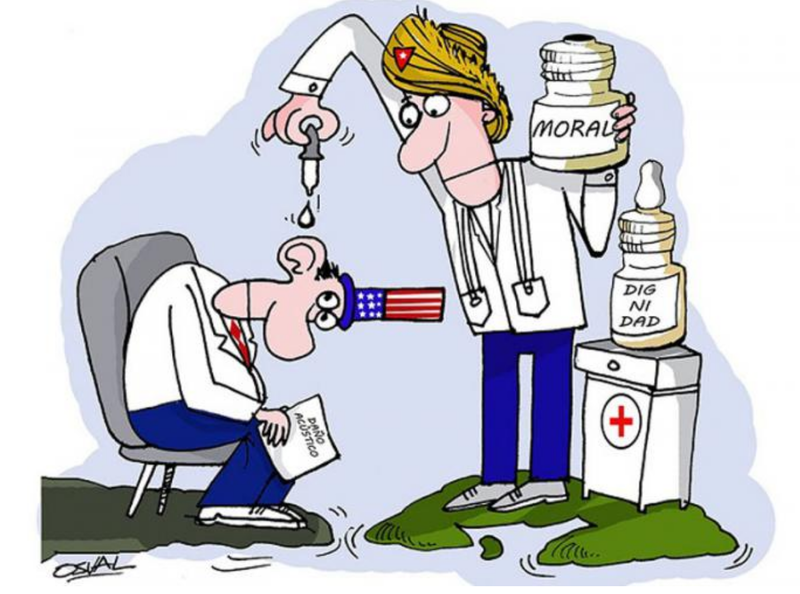 Nothing presented by the government of the United States throughout this period, including today, provides evidence that the health problems reported by its diplomats have their origin or cause in Cuba. We reject the politicization of this matter and the unjustified measures adopted by the United States government, with a high cost for our population, Cuban émigrés and the U.S. people. We also condemn the political manipulation of these events by anti-Cuban elements, who seek to aggravate the bilateral atmosphere, with the sole purpose of returning to a an era of confrontation, with negative consequences for both countries and the region. Cuba is a safe, peaceful and healthy country for Cubans, for foreigners, for accredited diplomats and for the millions of people who visit us every year, including U.S.
WASHINGTON.–El FBI no ha encontrado prueba alguna de los supuestos «ataques sónicos» contra el personal diplomático estadounidense en Cuba, tras meses de investigaciones y cuatro viajes a La Habana, reveló este lunes la Associated Press (AP). La agencia estadounidense tuvo acceso a un informe interino de la División de Operaciones Tecnológicas del FBI, fechado el 4 de junio último, que todavía no se ha hecho público. «El FBI probó la hipótesis de que ondas audibles, infrasónicas o ultrasónicas pudieran haber sido utilizadas clandestinamente para herir a estadounidenses en Cuba y no encontró evidencia alguna», refiere la AP. Las conclusiones de los investigadores estadounidenses concuerdan con la del Comité de Expertos cubanos que condujo una exhaustiva investigación sobre los supuestos incidentes, indicada por la máxima dirección del Gobierno. Desde un inicio, las autoridades cubanas enfatizaron en que jamás se ha permitido ni se permitirá que el territorio nacional sea utilizado para cualquier acción en contra de funcionarios diplomáticos acreditados ni sus familiares, sin excepción. A pesar de la poca claridad en el caso, Washington tomó medidas unilaterales y retiró a la mayor parte de sus diplomáticos de la Isla, paralizando el procesamiento de visados en La Habana. Asimismo, exigió la retirada de 17 funcionarios cubanos en Estados Unidos. Según confirmó a la AP el secretario de Estado, Rex Tillerson, todavía no se maneja el regreso del personal estadounidense porque, en su opinión, estarían «exponiéndolos intencionalmente al peligro». Se espera que hoy se efectúe una audiencia sobre el tema en el Congreso, dirigida por el senador de la Florida, Marco Rubio, quien intenta manipular el caso para desmontar los escasos avances registrados en los vínculos bilaterales. El también senador republicano, Jeff Flake, aseguró en La Habana el sábado último que no existen motivos para dudar de la posición del Gobierno cubano y añadió que los informes a los que ha tenido acceso carecían de pruebas sobre el involucramiento de las autoridades de la Isla. Incluso si de un altavoz a máxima potencia saliera una verdad sobre Cuba, el senador por la Florida Marco Rubio sería incapaz de escucharla. Rubio sufre hace décadas una sordera selectiva sobre su país de origen. Solo oye lo que le conviene. Por eso, mientras el Buró Federal de Investigaciones (FBI, por sus siglas en inglés) asegura que no existen pruebas sobre los supuestos «ataques acústicos» contra diplomáticos estadounidenses en La Habana, él prefiere montar un circo en el Congreso y convertir a diplomáticos de carrera en contorsionistas de la realidad. Con bombo y platillo anunció que el subcomité de Relaciones Exteriores del Senado, donde tiene un asiento, llevaría a cabo este martes una audiencia para abordar el tema. Convocó a tres altos funcionarios del Departamento de Estado y ni siquiera se molestó en buscar un título neutral para la parodia: «Ataques a diplomáticos estadounidenses en Cuba». De hecho, y para alegría de Rubio, la palabra «ataque» sonaba una y otra vez en el hemiciclo sin que nadie aportara una sola evidencia para respaldarla. «El personal diplomático describe una multitud de síntomas, muchos de los cuales no son fácilmente cuantificables ni atribuibles a una causa específica», aseguró Charles Rosenfarb, director del buró de Servicios Médicos del Departamento de Estado, sin que nadie pareciera inmutarse. «El reto mayor ha sido la falta de certeza acerca del agente causal», añadió y tampoco hubo grandes sobresaltos. El propio Francisco Palmieri, secretario adjunto en funciones para el Hemisferio Occidental del Departamento de Estado, reconoció que todavía hay «mucho que no sabemos, incluido quién o qué está detrás». Pero, como si nadie lo hubiera escuchado, siguió hablando de «ataques» y «lesiones». Resultó cuando menos penoso ver a funcionarios con largos y prolíficos historiales sometidos a las presiones de un congresista que ha hecho carrera a costa de mentir sobre Cuba. En su biografía oficial aún aparece que la familia Rubio salió del país «huyendo del comunismo», cuando en realidad lo hizo en plena dictadura de Fulgencio Batista. Existe una larga tradición de extorsiones y chantajes de los comités del Congreso que atienden las Relaciones Exteriores hacia el Departamento de Estado. Un solo senador puede bloquear el nombramiento de un funcionario casi indefinidamente. Pero eso no exime a nadie de los principios éticos elementales. Fue un momento tragicómico cuando, en plena audiencia, Rubio lanzó la pregunta retórica de quién podría tener el interés de crear fricción entre Estados Unidos y Cuba. Su rostro se contrajo por un segundo y quizá en ese momento pasó por su cabeza una idea elemental: «bueno, aparte de mí, quién más puede tener interés». Aunque el supuesto objetivo de la audiencia era dar seguimiento a la investigación que se lleva a cabo en la actualidad, era obvio que el senador por la Florida no estaba interesado en análisis científicos o pruebas de campo. Su único objetivo era señalar a las autoridades cubanas como responsables y tratar de desmontar cualquier avance en las relaciones, que es su verdadera obsesión. No importa lo que digan el FBI, los investigadores o la realidad. No hay peor sordo que Marco Rubio, cuando se trata de Cuba. 04. 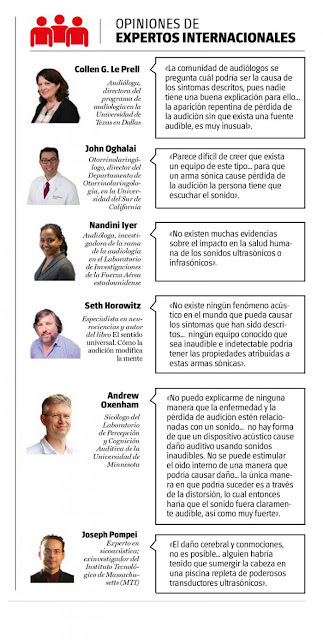 La conmoción cerebral o los problemas cognitivos reportados por la parte estadounidense no tienen ningún referente clínico en eventos vinculados con sonidos. 05. Cuba, amenazada de guerra o en momentos de gran tensión, jamás optó por el camino de agredir a diplomáticos de ninguna nacionalidad. ¿Qué sentido tendría hacerlo después de tomar la decisión soberana de restablecer los nexos con Washington? 01. No existen evidencias con respaldo científico para asegurar que se llevaron a cabo ataques acústicos contra diplomáticos estadounidenses en Cuba. 02. La sintomatología descrita por Washington y filtrada por la prensa no coincide con los efectos del sonido en la salud humana. 03. Resulta inverosímil el contexto en el que supuestamente se habrían producido los alegados incidentes, en lugares custodiados por los propios estadounidenses y sin acceso directo al exterior, así como el hecho de que habrían resultado dañadas unas personas en específico y otras no. 04. Existen otras causas probables, incluido los factores sicosociales, que explicarían mucho mejor la variada sintomatología alegada por Washington. Las mismas deben ser estudiadas a profundidad antes de emitir un criterio definitivo. 05. Cuba no está familiarizada ni existen precedentes del uso en territorio nacional de armas acústicas, las cuales sí existen, pero están en manos de las grandes potencias y generan efectos distintos a los descritos. 06. El Comité de Expertos cubanos que analizó el caso estuvo limitado por la falta de colaboración de las autoridades estadounidenses, que no compartieron toda la información disponible ni permitieron el acceso a los pacientes o sus registros médicos. 07. Los especialistas de la Mayor de las Antillas están dispuestos a colaborar con sus contrapartes estadounidenses de manera transparente para llegar a resultados conclusivos. 08. Cuba se destaca por el cumplimiento de la Convención de Viena y jamás ha perpetrado ni prestado su territorio para perpetrar ataques de cualquier naturaleza contra el personal diplomático de ningún país. 09. Por el contrario, los diplomáticos cubanos han sido víctimas de acciones violentas en territorio estadounidense, llevadas a cabo por miembros de grupos terroristas conocidos y vinculados con Washington.